Safe drinking water is big business in Haiti because most Haitians have switched from drinking 'dlo source' (natural spring water) to drinking water purified by reverse osmosis. Back in the days, growing up in Haiti, my mom used to send me to a fetch water from a small spring in the outskirts of town where the everyone went to get drinking water. Sometimes, where there's too many people trying to fetch water, fights would break out. Things have changed. Now in Haiti, there are many water stations in every neighborhood selling water treated by reverse osmosis. 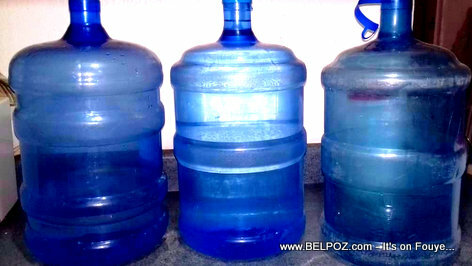 For about 30 gourdes per 5-galon you will have safe drinking water to drink.